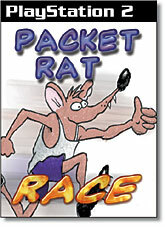 Packet Rat: Network alert -- BOOM! The Rat recently stumbled onto the next revolution in desktop computing by accident. He has seen the future, and it runs on Linux'or, rather, Final Fantasy X. 'A PS/2?' replied the Rat, thinking of the late lamented IBM Micro Channel Architecture for PCs. 'You can get Linux to run on that?' He was skeptical because it seemed pretty certain that the proprietary MCA wasn't a high priority for hackers working on the latest Linux kernel. 'Only in Japan?' This baffled the Rat, who didn't think IBM had sold enough PS/2 systems there to make a base for a Linux release on the aging hardware. But after all, Linux was being sold in Singapore for clone Sparc machines, so why not for the overengineered boxes from Big Blue? 'OK, hook me up,' the cyberrodent ordered. That evening, as he sat with his family at the dinner table, he recounted the exchange to his wife. The two elder ratlings looked at him wide-eyed, then turned to each other and grinned. They fist-bumped triumphantly, one up on the old man. 'You mean, the game console?' the furry one frowned. The Rat's daughter banged her handheld on her high-chair tray in agreement. From denial to anger to fear to acceptance'it took only a minute. 'Well, that'll look interesting on the office's SmartPay card statement,' the Rat sighed. Sure enough, on Monday he was greeted at the door to his command bunker by the sounds of blaster fire and cheering. It quickly subsided once his presence was perceived. 'This had better be good,' the Rat growled, spotting the black monolith of the Sony game console on his desk. 'Don't forget the DVD player,' sneered an underling. 'And this cost how much?' the Rat asked. 'With the Linux kit, $500,' the apprentice admitted. Fortunately, there were few trouble calls that day.